Are you planning to move to Las Vegas? Or are have you just started to think about it? Perhaps you are only wondering what it would be like to live in the city known as the entertainment center of the USA. So whatever your reasons might be, you are trying to find out about the cost of living in Las Vegas. The results might be just as you expected. But they might surprise you. People usually imagine Las Vegas as nothing but casinos and neon lights. But this city has so many more to offer. And how much does it cost to actually live there? Well, it may depend on many different factors. 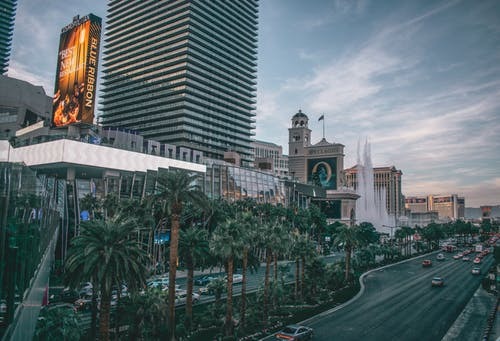 According to more than one source, if you have plans that involve living in Las Vegas, you will most likely find it affordable. Most people with the median USA income of about $50,000 can live here without any troubles. So if you earn the nation's average or more, you'll have no problems with the cost of living in Las Vegas. But what are the everyday expenses you should consider? Yes, you might have forgotten all about it, but relocation can cost quite a lot. If you are moving to Las Vegas long distance, you may want to set some money aside. You can, however, choose affordable and reliable movers such as Triple 7 Movers Las Vegas and save some money that way. Moving can be expensive. And yes, it affect your everyday life. However, with good organization in place – you can even save or make some money along the way. Find about the final cost of your relocation to Sin City online and you can add that to the cost of living in Las Vegas. If you know anything about the housing crash of the 2008 financial crisis, then you might know that Las Vegas was struck hard. However, the housing market has stabilized in recent years. So even though Las Vegas is one of the most popular tourist destinations in the USA and perhaps even the world, its housing costs are not too high. If you are looking to buy a home in Las Vegas, you'll find a rather volatile market. Rentals are relatively affordable and you can expect your home to cost anywhere from $800 to $1300. So it's not exactly cheap, but for a famous big city, not too expensive. Utilities - The cost of living in Las Vegas is not greatly affected by the cost of utilities. You might say they fall in the US average category. 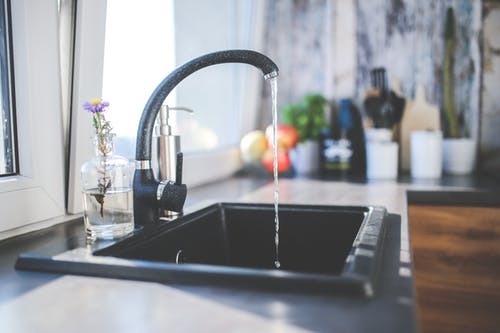 Basic utilities package electricity, heating/cooling, water, and garbage for a 1000 square ft home will cost you around $170 in Las Vegas. The national average is somewhere around $150. Slightly higher, but definitely not a reason for concern. Food - Cost of living in Las Vegas is also affected by the cost of food. For around $400 a month you can maintain a healthy diet if you live in Las Vegas. However, you do need to avoid eating out. Being a tourist city, LV has a vast offer of very expensive restaurants you might want to stay away from if you are trying to save money. Transportation - Yes, you might have heard that the gallon of gas is a bit more expensive in Las Vegas than the US average. And that hailing a cab here costs more than in most cities in the USA. If you plan to buy a new car, you might want to reconsider. But if you do not own a car, you can get a one-way bus ticket for $2, or you can buy an unlimited monthly pass for $65. If you are thinking about moving to Las Vegas with your family, there are more than just the basic costs to consider. Having a child means all kinds of expenses you do not have as a single person. Monthly preschool care for one child will cost you around $900, whereas international primary school costs almost $15,000 for a single year. The average monthly salary in the Las Vegas area is just under $3,000. This means you might need to earn some extra money to maintain a comfortable lifestyle. Cost of living in Las Vegas is definitely too high for an unemployed person with a family. The state of Nevada has no state income tax, which can be quite comforting to your budget. Also, property taxes here are on the low side. So there are ways that moving to Las Vegas can prove to be beneficial to your finances. You just need to be aware of how and where you can save money. State income taxes can be as high as 13% in California, for example. And this is why relocating to Las Vegas would be a good call. So, are you still thinking about moving to Las Vegas? We say, why not? Living expenses are not too high for such an attractive city. And if you work in the tourism industry, you’ll have plenty of employment opportunities there. The cost of living in Las Vegas might be a bit more than you are used to, especially if you are coming from a small town. But for such a big and fabulous city, it is definitely not too much. Now if you have finished doing your budgeting and calculation, you can start getting ready for Las Vegas lifestyle.